So now that the debt ceiling crisis is over we can go back to wasting time with the GOP candidates who will all eventually fall to the might of Texas Governor Rick Perry (whenever he decides to run for president.) However, if they really wanted to stave off the inevitable you’d think that GOP 2012-ers would do more to keep themselves relevant during the biggest news story over the last month — namely the debt ceiling talks. I’ll give them credit, most made statements about their support for one plan or another, even if some waited until the last minute (we’re looking at you Mitt Romney). But the fact is that this was a wasted opportunity for just about every GOP candidate for the presidency. As an insider and the only candidate who is actually in office, Michelle Bachmann was almost non-existent during this whole debt battle. 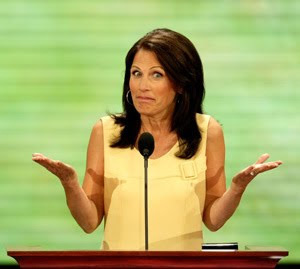 She’s the head of the Tea Party Caucus and yet by all accounts it was Boehner and Cantor doing the heavy lifting. Pathetic. Further, all of the “outsider” candidates should have been peppering the airwaves every 15 minutes with politically expedient “This is what I would have done” statements. Instead we get this, and this. This was a chance to show some leadership during a news event that had legitimate social, political and economic consequences — yet most of the major Tea Party candidates were MIA. If they keep this kind of behavior up the only coverage of presidential hopefuls will be when one of them gets in trouble, and that’s not a good start for 2012.